Mirror hours or “twin hours” are times on the clock in which the number of hours corresponds to the number of minutes, but there are also reversed mirror hours which display a symmetrical pattern like the hour 21:12. These hours each have a special significance and if you see them often it may mean many things. Messages from your guardian angel are made possible by a synchronicity established via these hours between the earthly plane and the realm of the angels. They may be warning you of danger, answering a question, or more, and we can also interpret mirror hours by looking at numerology. 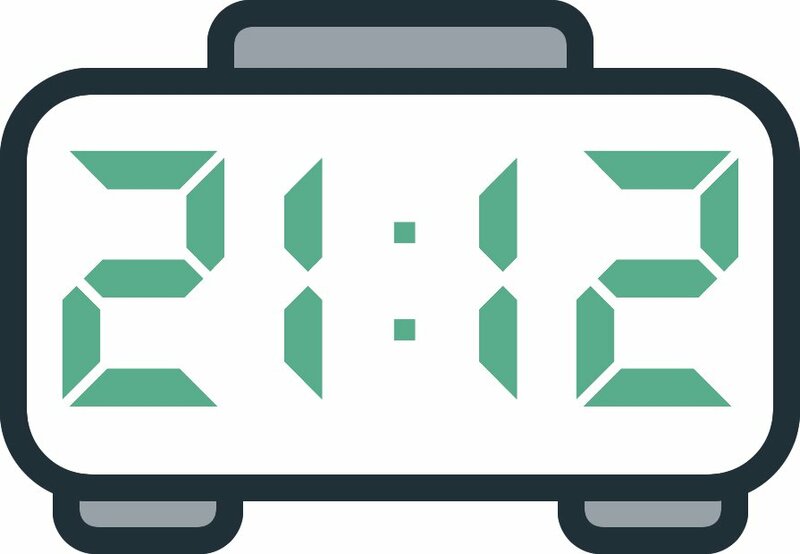 Are you curious about the reversed mirror hour 21:12 because of how regularly you’ve been seeing it over the past few days? This hour is hiding a message and it is up to you to find out what it is. First of all be aware that this is the hour of optimism, family, idealism, and creativity. Your angel is showing you this hour to get you to let go of your fears and refocus on your goals. You may not know it yet, but you have the skills and natural capacities to succeed. You should stay positive and calm to reach fulfillment. At the same time, you should trust in yourself and in those around you to help achieve your dreams. The reversed hour 21:12 is a hidden message from the guardian angel Mehiel. It is noteworthy that this angel is the symbol of protection and inspiration. His message is that you no longer need to do things alone because your angel is there to protect you from bad spirits and evil forces. 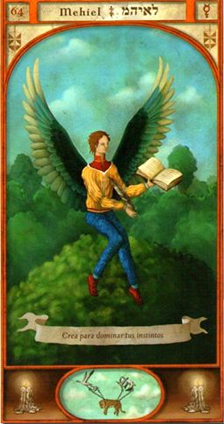 This angel is your patron and protector and is also telling you that he will improve your imagination and your receptivity which will be vital skills if you are a writer who wants to share their work with others. He gives you a profound understanding which comes straight from the guidance of heaven. All this is combined with an improvement of your mental faculties to help put them in step with your imagination. Mehiel is also trying to tell you that he will give you great strength to allow you to succeed in everything you do. First of all, you will be able to understand the link between the science of dreams and technology. Such an ability is useful if you are engaged in intellectual pursuits or in programming, etc. The guardian angel Mehiel is also beside you to restore your loss of energy and your lack of ability to think of things or get things done. He is trying to reassure you that you will no longer face a futile and fruitless existence; he will fix your problems and help you to build up and accomplish what you set out to do. He is also telling you that he will be with you in your struggle with hyperactivity and your tendency to become overly excited. He will also help you to change your ways if you are constantly seeking the approval, love, or recognition of others in everything you do. He will also protect you from personality problems. He no longer wants you to play a part in your life in which you lack objectivity. What does 21:12 mean in Numerology? The angelic numerology behind the number 33 brings with it very positive energies which will allow for success and good luck in your creative pursuits and your business operations. It will give you great skills of communication which will make your relationships with others easier while also making you more persuasive. 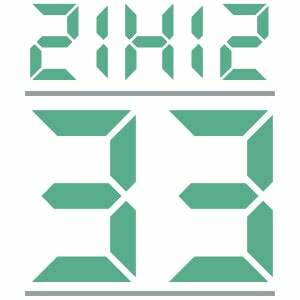 When the number 33 is linked with the reversed hour 21:12 it will help you develop your altruistic side. It is saying that you pay particular attention to the needs of your peers and you find it easy to help them, especially those you love, even if it is to your own detriment. Do not be surprised if you are attracted to counseling work, volunteer work, or working in medicine. The angel number 33 which comes from the reversed mirror hour 21:12 also shows that no matter what changes or projects you are engaged in at this moment, they will definitely be worth the effort and your guardian angel will be at your side to help them succeed. You will be able to have good results thanks to his support. Through the number 33 your angel is also trying to tell you that he will bring you bravery, optimism, and an enthusiastic energy. He is making sure to let you know that you are a person who is blessed, loved, and supported in everything you do. He wants you to live your life with joy and passion all while keeping your goals in sight. At the same time you need not worry about your relationships with others as the repeated number 33 predicts a certain stability between your own feelings and the feelings of others. You are someone who is always seeking contact with your peers and you know how to maintain relationships with those close to you. You no longer need to be worried as your guardian angel is always watching over you. Any comment on the 21:12 mirror hour?